Spoilers for The Walking Dead episode “Consumed” and others below. You have been warned. 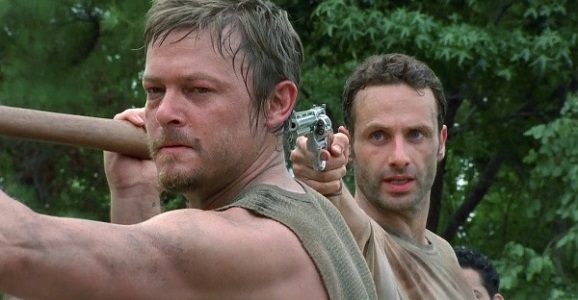 From a structure standpoint, last night’s episode of The Walking Dead was possibly the best in the series. With nearly all of its runtime devoted to Carol, the narrative skips back and forth across her timeline and through several of the show’s more iconic locations. We get a sense of what Carol’s life was like before the zombies hit, as well as a sense of what Atlanta is like now. (It isn’t good.) And it turns out all of these callbacks aren’t just one-offs, but they’re actually a sign of…something…to come. There are a lot of reasons why we decided to go back into Atlanta. I can’t get into a lot of them, but they’ll become clear as the season progresses…It was a good time to pop back in and reaffirm our place in a recognizable world and explore a bit more of how civilization has fallen. As the season progresses, you’ll see why we popped back in when we did and for how long we did. I mean, we’ll obviously continue to see what’s happening in Atlanta, since Beth’s story at Grady Memorial Hospital still has to play out in some way. 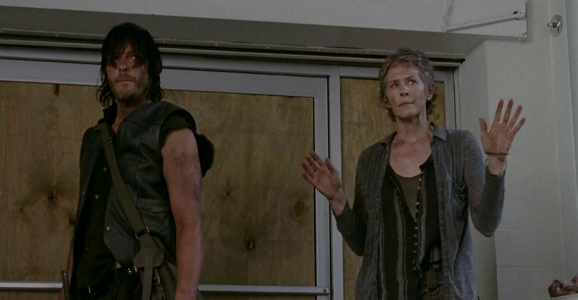 Carol and Daryl run into Noah as he’s trying to hightail it, so we’re at least vaguely aware of how this forward-moving timeline is working. So the next time we see these characters should seemingly be during a massive rescue mission. But what else will Atlanta bring to audiences of The Walking Dead, and will it only come in present-day form? “Consumed” was a unique episode for this series in that it approached proper character development without banging the exposition out in hammered dialogue. (There was something resembling poignancy in the mental juxtaposition between Carol’s abused past and her current state of badassdom.) But the episode also used small flashbacks to fill in portions of her story for the last season or so, such as her last moments with Rick following her banishment. Will Atlanta also be the home of more flashbacks for The Walking Dead? Does this have something to do with Rick not having a beard later this season? It’s entirely possible, of course, that the show is finished with flashbacks and that we’ll never quite know where some of the other holes in the characters’ pasts lead to. I guess the only way to know for sure is to keep watching, as there are only two episodes left before the giant winter hiatus.